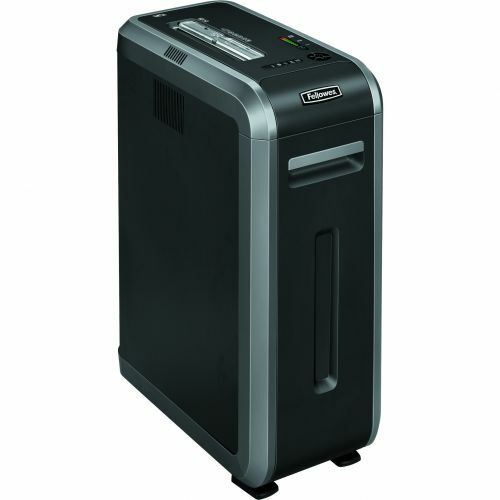 The Fellowes Powershred 125i Shredder is a jam preventing, professional strip cut shredder designed for 3-5 users in the office environment. 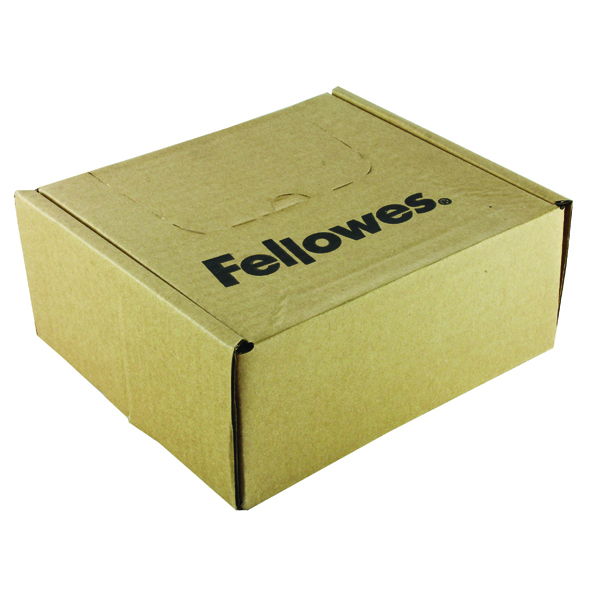 The Fellowes 125i is a security (DIN) level P-2 strip cut shredder and can shred up to 18 sheets per pass into 5.8mm strips. 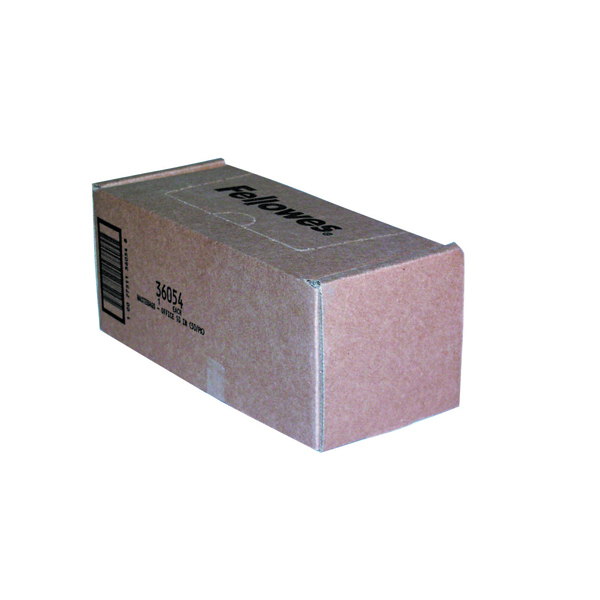 As a strip-cut machine, it offers basic document security, and is suited to disposing of information that is less sensitive. The 100% Jam Proof feature brings you the latest in jam prevention technology; eliminating paper jams and powering through the toughest of jobs. 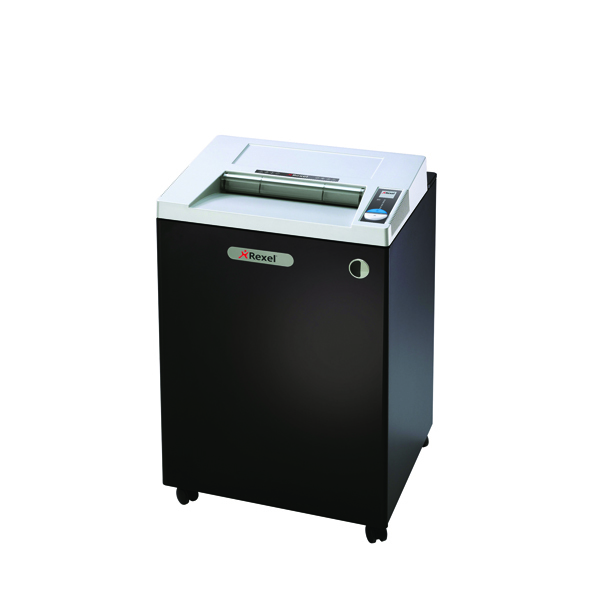 The green to red colour gauge on the machine gives instant feedback whether or not you are within the recommended sheet capacity range for frustration-free, more efficient shredding. 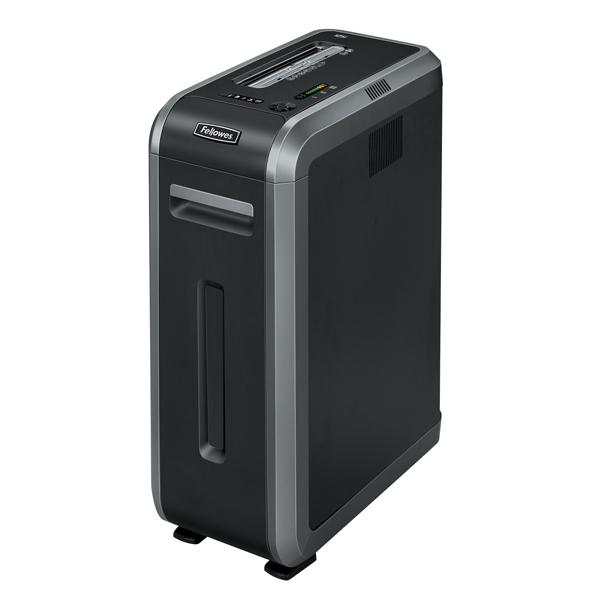 It also comes with SafeSense Technology for added safety; automatically disabling the shredder when hands come into contact with the opening and stopping the shredding process immediately and the Silentshred feature minimises noise disruption in shared workspaces. 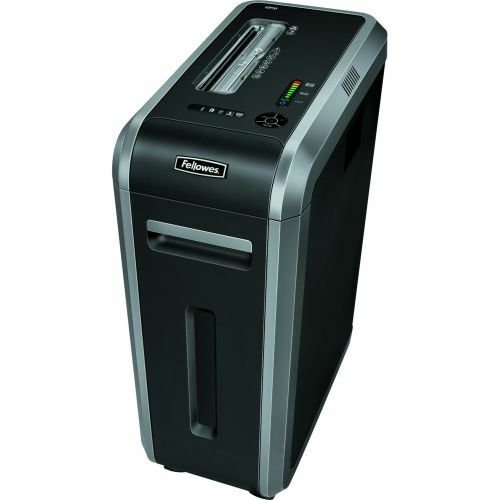 To reduce energy usage this shredder comes equipped with the Fellowes Energy Saving System to reduce consumption. 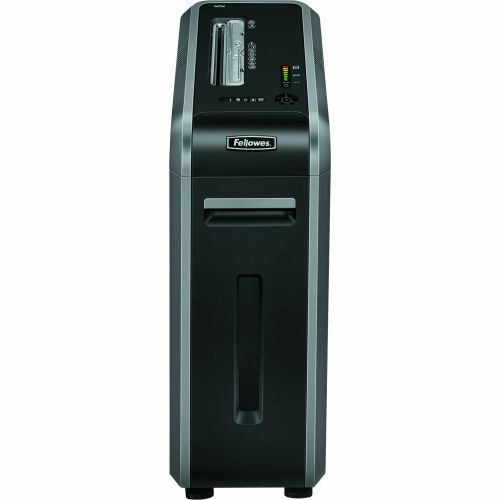 A strong and durable paper shredder; it can shred unwanted credit cards, CDs, staples and paperclips. 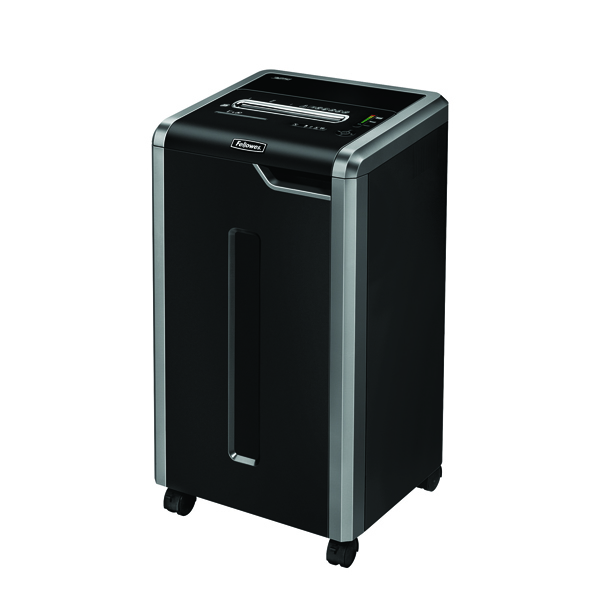 With an extended run time of 45 minutes it is ideal for high volume shredding and the large 53 litre pull out bin means easier waste disposal and less frequent emptying. 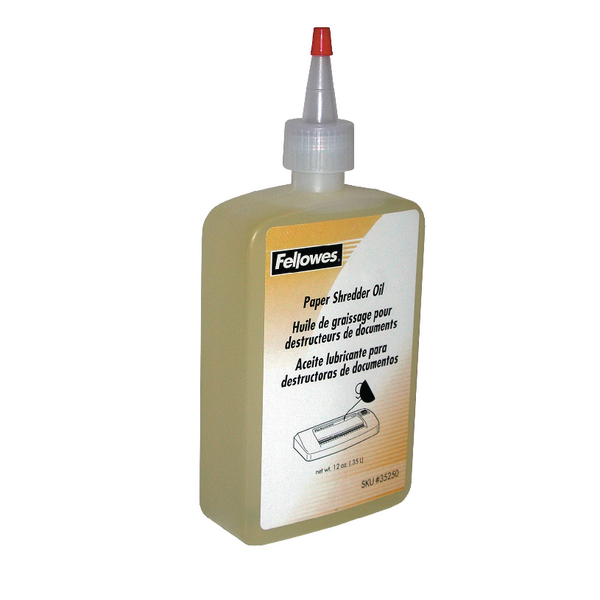 Comes with a worry free 2 year warranty for the machine and 20 year warranty for the cutter.